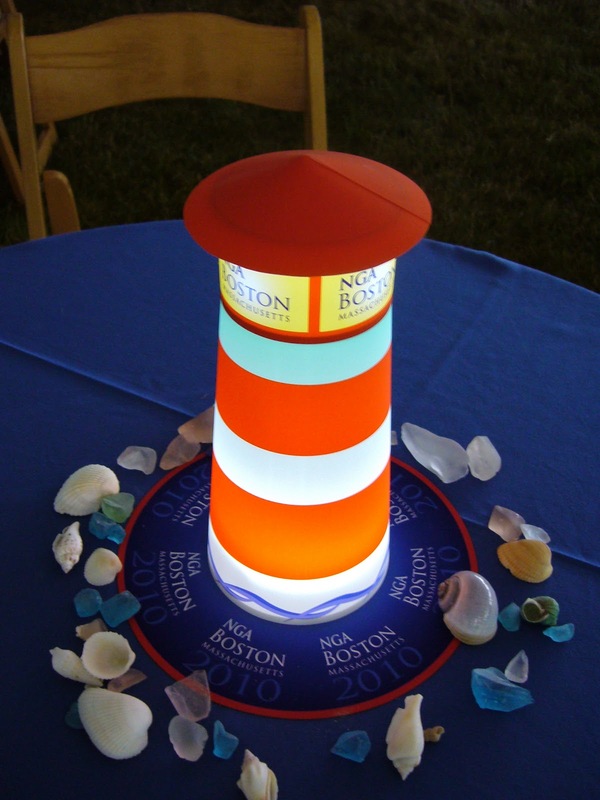 For the 2010 National Governor's Association meeting in Boston we created table top Illuminarias in the shape of a lighthouse to match the icon in the meeting's logo. Additional branding was added on the complementary "mat". 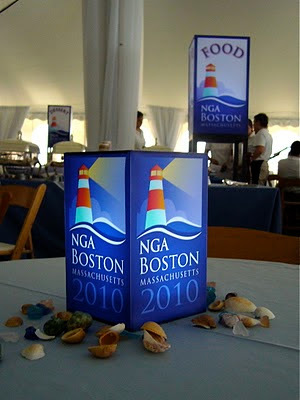 Additional internally lit centerpieces with the NGA logo were interspersed on the table, and large square columns designated food and beverage areas. Our centerpieces bring custom personalization to large events and visually remind guests of the event they are attending. 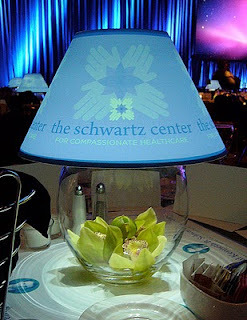 Illuminaria Shade with Fresh Flowers Combination. We are very excited about the updates we are making. Please stay tuned for photos and inspiration for your special events! 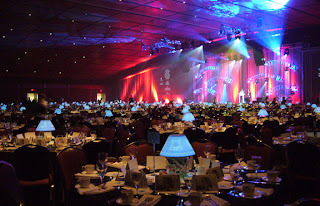 The following are photos from a recent event for The Kenneth B Schwartz Center for Compassionate Care in Boston, held at the BCEC. We built 200 custom designed shades debuting the center's new logo. 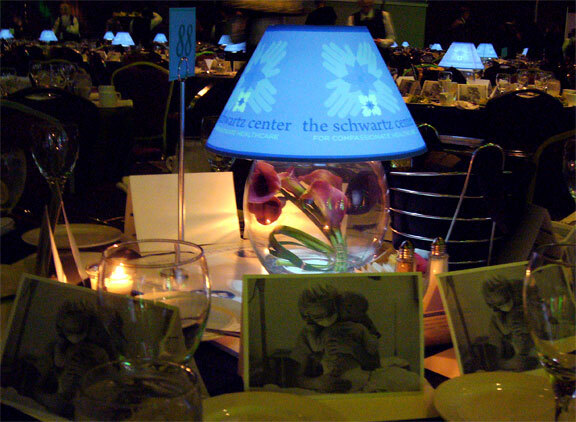 We were pleased to hear guests felt the centerpieces added a warm personal touch to the huge ballroom. Contact us at 781.444.7770 or info@illuminaria.com to customize your next special event.